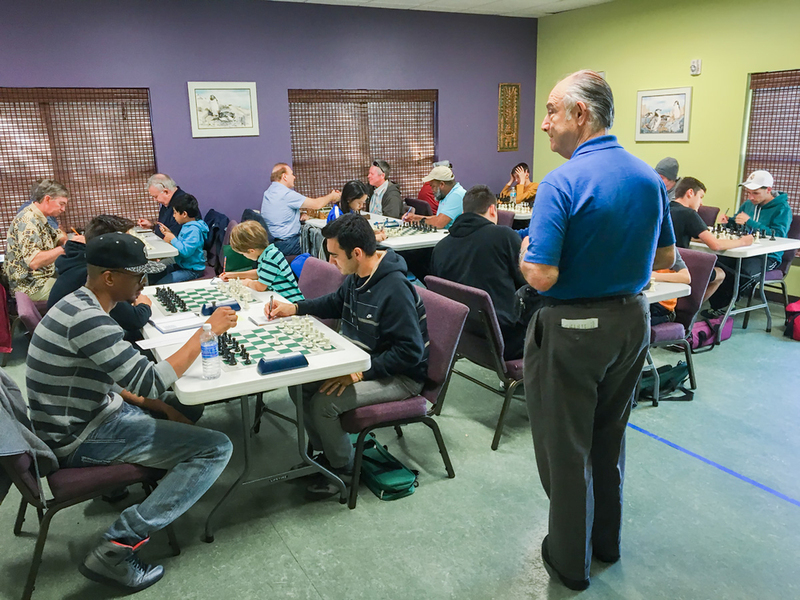 Congratulations goes to Daytona's Kai Tabor for winning the 2016 CFCC Club Championship on tiebreaks! 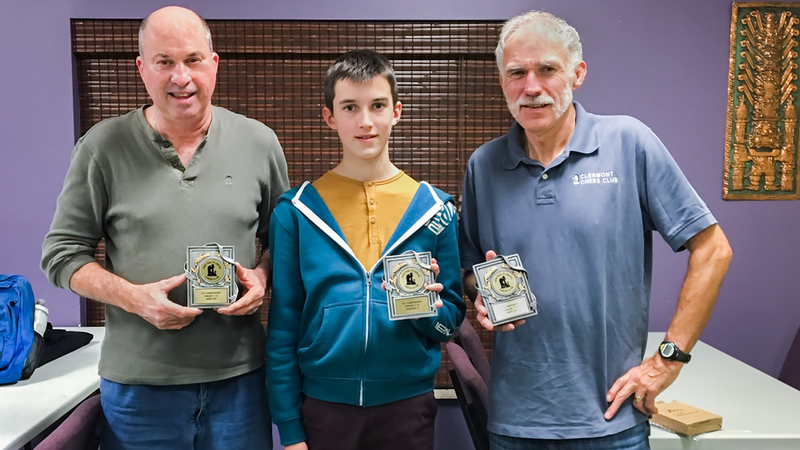 2016 Central Florida Chess Club Champion Kai Tabor (2034) (R) holding the club trophy after winning the event with a half point tiebreak lead over Alfonso Gabbedon (2161) (L) last weekend. 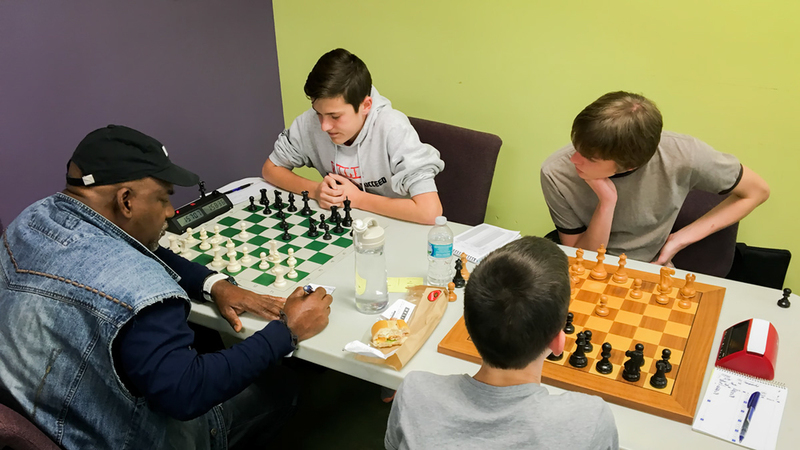 With the absence of 3-time club champion John Ludwig at this year's CFCC Club Championship, the opportunity for a new champion to take possession of the club trophy for the year was available to many who played in the tournament this past weekend, however, the battle at Board One in the final round came down to two talented young experts, Orlando's Theo Slade (2039) vs Daytona's Kai Tabor (2034), with Kai winning the 2016 Championship on tiebreaks. 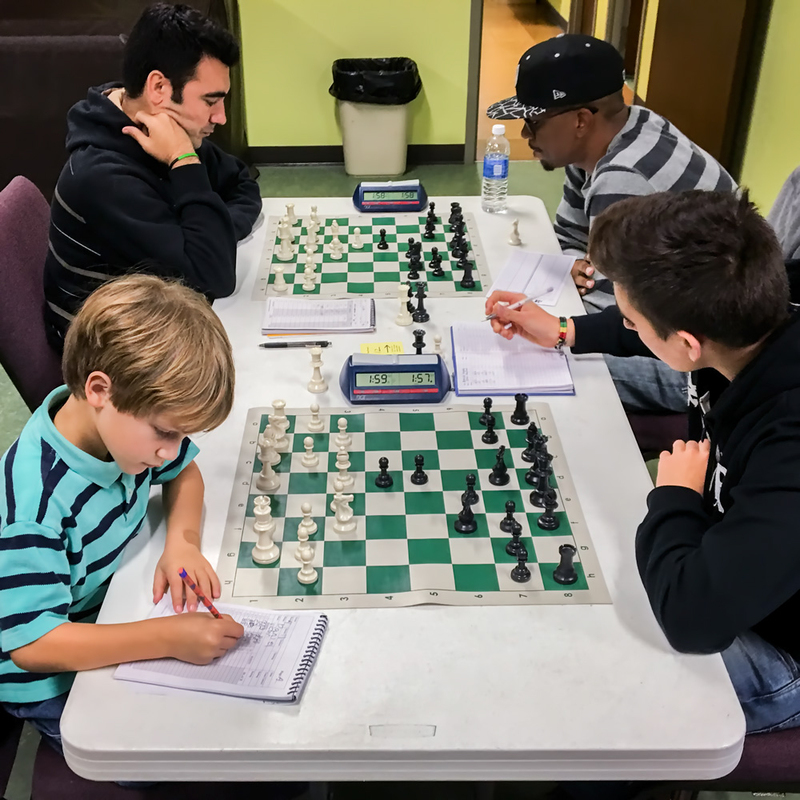 Great job Kai! 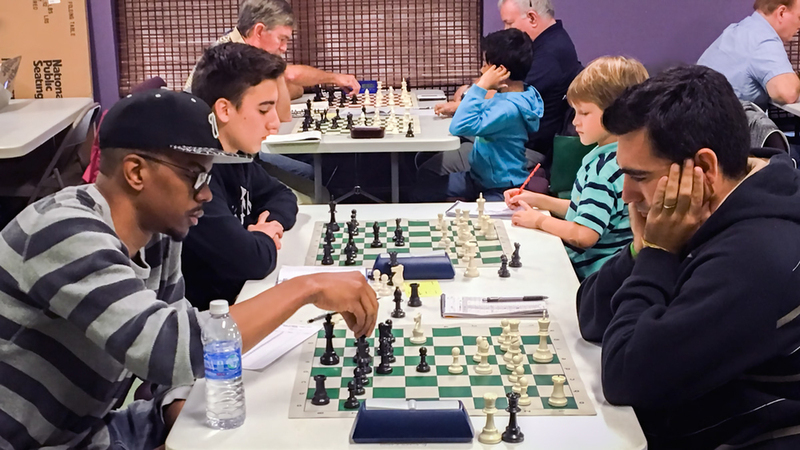 Final Round, Board One with Theo Slade (2039) (top left) playing white and Kai Tabor (2034) (top right) in control of the black pieces, with Kai going on to win the final round. 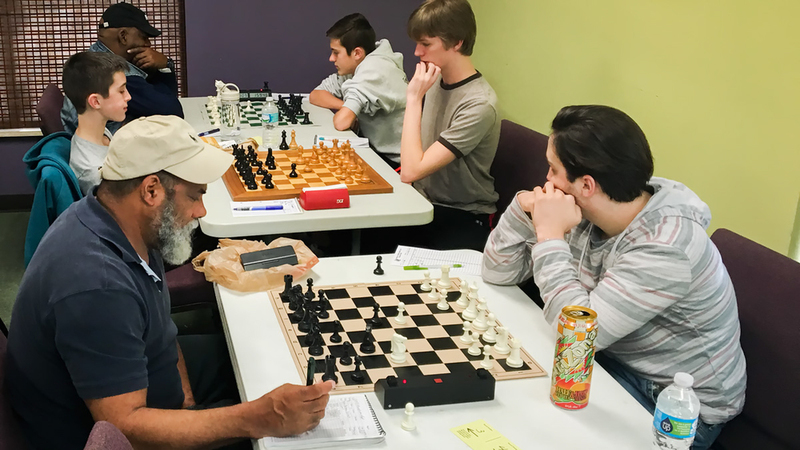 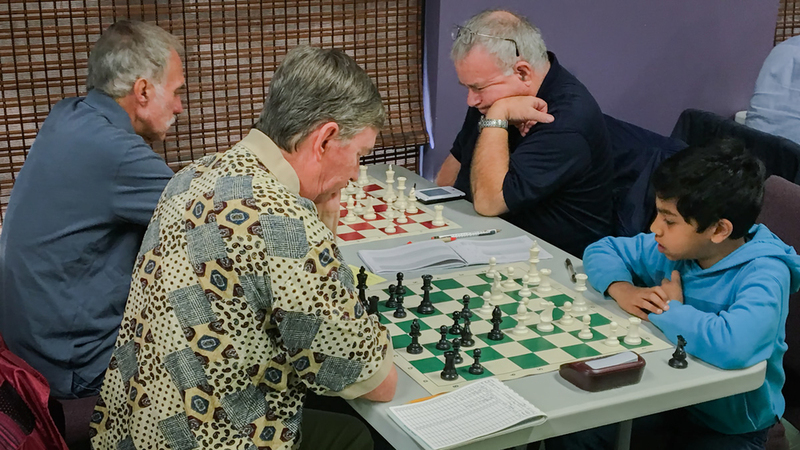 Board Two has UCF Chess Club President Arnold Banner (1692) (bottom left) paired up with 2-time CFCC Club Champion Alfonso Gabbedon (2161) (bottom right) at the Club's UUUS tournament & training facility located near UCF.